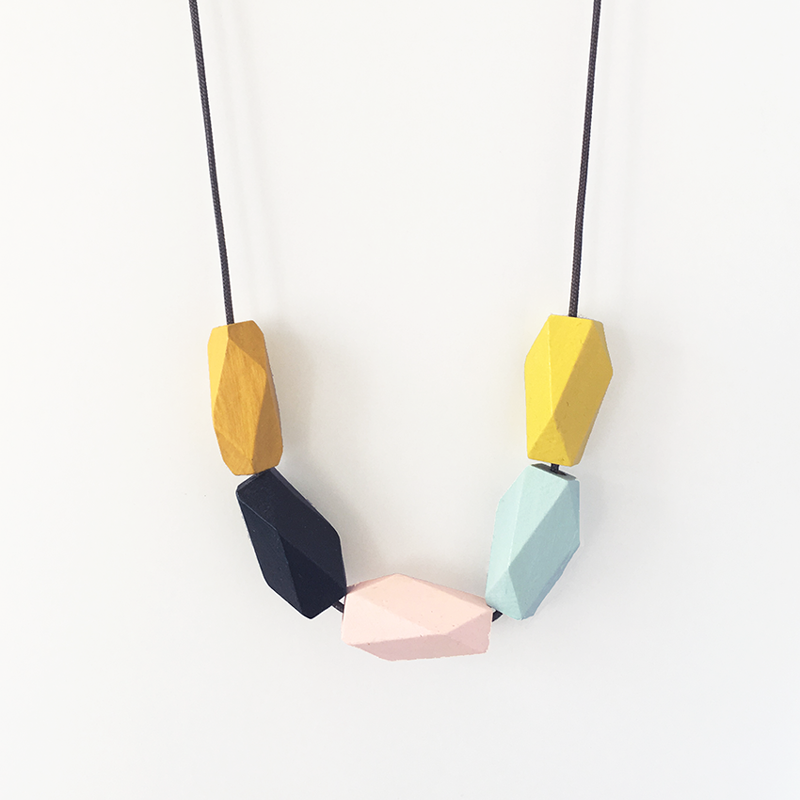 Some simple statement necklaces now in the shop! I bought these wooden beads for a project that never came about and decided rather than box them up and add them to the bead stash I'd add some colour instead and make myself a necklace. Of course I couldn't stop at one so I made a small batch to share with you folks :) These ones are super limited, I only have 5 in stock right now but I've ordered some more beads so when they arrive I'll do another update. 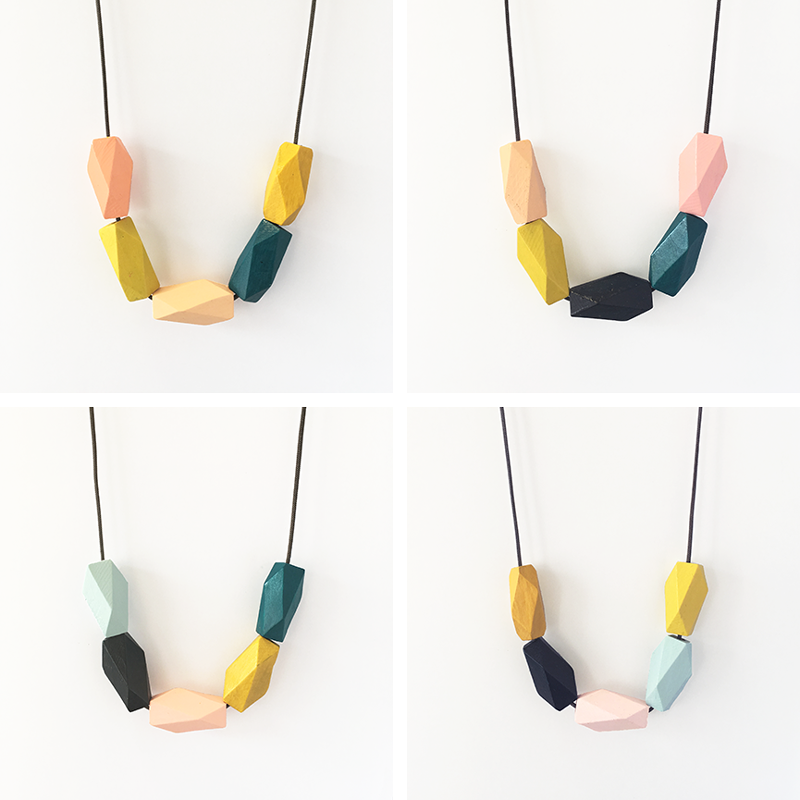 I've been buzzing off these colour schemes lately... can't get enough of this mix!